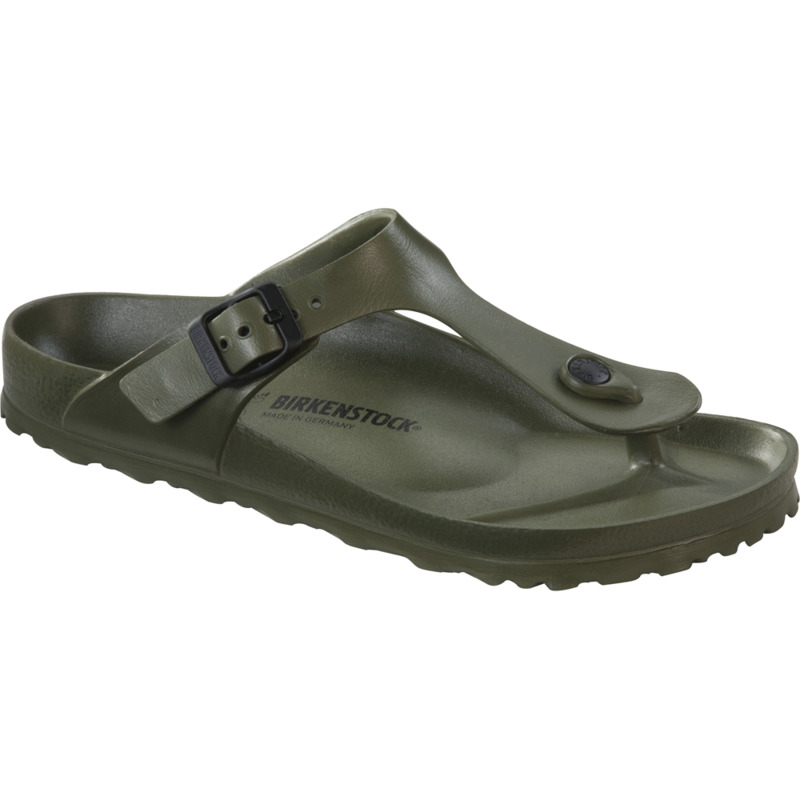 The beloved BIRKENSTOCK classic, gIZEH, can now also be worn in wet areas, thanks to the use of high-quality EVA plastic. This makes the versatile sandal lightweight, flexible and washable, whilst still featuring the anatomically shaped footbed. The exact 1:1 copy of the classic, which was launched onto the market some one hundred years ago, is made in Germany with the same BIRKENSTOCK quality for which the brand is renowned.